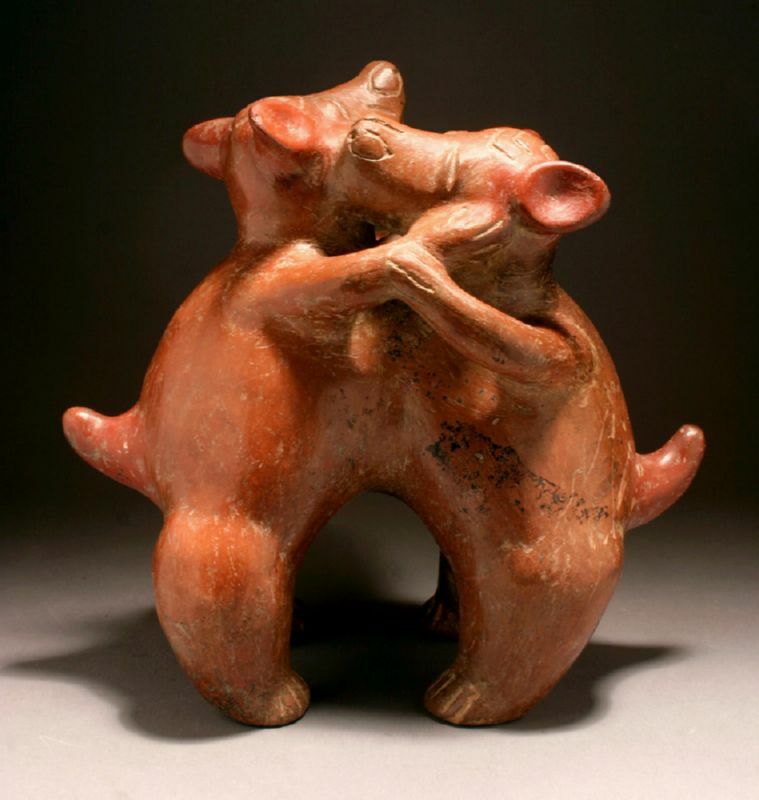 P-3821 A FINE COLIMA CONJOINED PAIR OF DANCING DOGS, COMALA STYLE, PROTOCLASSIC ca. 100 B.C. - A.D. 250. Provenance: From a private Los Angeles, California collection. Cf. G. Berjonneau, Rediscovered Masterpieces of Mesoamerica, fig. 209, Editions Arts, Boulogne, France, 1985. These dogs at play, one baring his teeth, the other biting his jaw. Their tails are curled upward in unison. This conjoined object features a large spout and a fine Colima red to reddish-brown slip with sporadic black manganese oxide deposits upon the surface.